Tutorial - How to use and start work on Xiaoa Studio software. ( Multi in 1 D ). 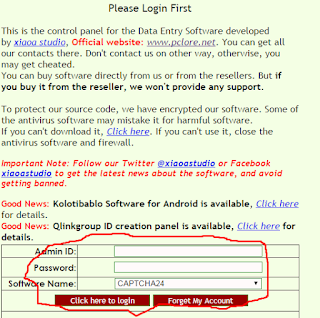 Hello guys, Today i have come up with a tutorial on how to use and set up your Xiaoa studio Software.I will provide you with a step by step instructions on how to use , download the software, and how to setup it easily with snapshots. SO LET'S START THE TUTORIAL. STEP 1. Visit http://5fc.info/panel.aspx . Here you will be asked for the 3 details to enter, i.e,. ADMIN ID , PASSWORD, SOFTWARE NAME. ( Select " Multi in 1 D ") for software name. Enter the login details you have received from the Official site or a Authorized Reseller and login to your Software Panel. STEP 2. Now you logged successfully. So, you have to download the latest version available on your software panel dashboard. 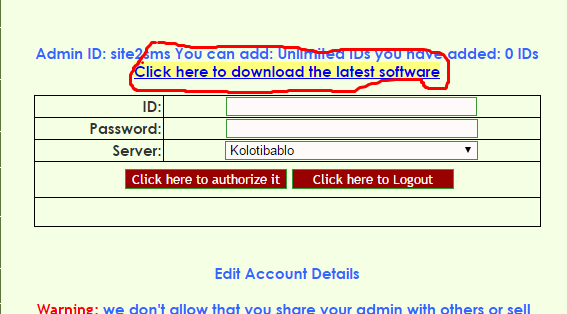 Click on the Link marked in the below snapshot for downloading the software. STEP 3. Add your ids and password of Particular Server ( Captchatypers ) which you got from your Supervisor to the boxes given on the top of your software panel dashboard. Insert your working ids and password one by one to above shown boxes. Select the Server name ( Captchatypers ) as you are working on the same one. STEP 4. After you submitted ( authorized ) your all working ids on your software panel. Run your downloaded software. STEP 5. Select your desired server ( Captchatypers ), means Click on " ADD CT ID ". After that it will open another box to add your working ids. Submit your ids one by one like you have done while following " 3rd Step ". STEP 6. Now your Software has been setup and you are ready to start work. Just select the checkboxes of your " working ids " and Click on " Start Work ". After doing this, software will start displaying the images ( Captchas ). IMPORTANT NOTE : DON'T FORGOT TO INSTALL THE LATEST VERSION OF " MICROSOFT DOT NET FRAMEWORK " ON YOUR WINDOWS . THIS MUST BE INSTALLED IN YOUR SYSTEM TO LET THE XIAOA SOFTWARE RUNNING. Thanks for giving your precious time to read my Tutorial . If you have any type of doubt, you can leave your comments and i will get back to as soon as possible. You can mail me at nilesht987@gmail.com for quick response. BitForTip.com - Tip and earn Bitcoins by posting and answering inquiries. Many people around the world struggle with the concept of obtaining their first piece of a Bitcoin. That is mostly because of a lack of education in this area; everyone assumes you have to buy Bitcoin to get some. But there are other alternatives as well, which do not require you to buy anything. The only cost involved is a bit of your time. If you are truly interested in Bitcoin and digital currency, there is no better way to go about it than by reading up and learning new things on a daily basis. BitforTip will let you do exactly that, as you can ask any question about anything you want to know, and reward the best answer with a small Bitcoin tip. This platform also works the other way around, too, as you can put your knowledge and expertise to good use by answering other people’s questions. Who knows, maybe you’ll find yourself on the receiving end of a Bitcoin tip shortly. To make it even more interesting, not all questions and answers have to relate to Bitcoin itself, but they are more common than others. To post your first question, your account will need to be funded with a very tiny amount of Bitcoin. The amount of your balance can be used to reward the person with the most valuable answer to your question. Once you have found the most fitting answer to your question, simply release the reward from your balance, and you are all done. The minimum fee for posting a question is 0.0001 Bitcoin – worth roughly US$0.02 at the time of publication, which is generally the case with these platforms. There is also a maximum reward in place, which is equal to your total Bitcoin balance. As is always the case with these new platforms, never store too many BTC on there, as this is not a Bitcoin wallet service. In its current form, the BitForTip website is easy on the eyes, even though it may appear borderline bland. There are quite a few questions listed already, and it will be interesting to see whether or not more and more people will begin using this platform. We need more educational platforms that are tied to Bitcoin and digital currency, making BitForTip a welcome addition to that list. How to Use and Activate CaptchaPro Software. 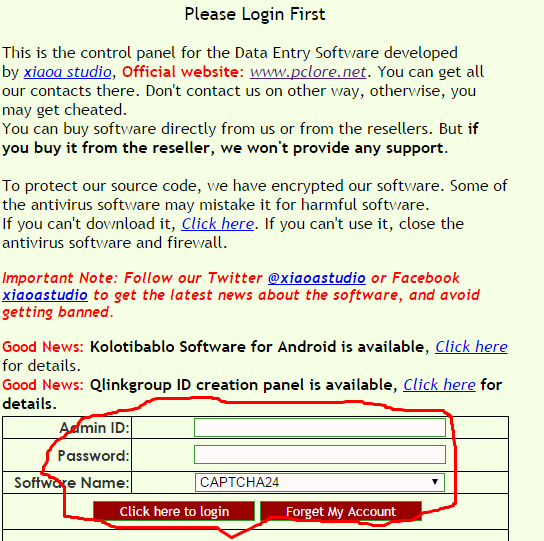 Today , I have come up with a awesome captcha typing software named ,CaptchaPro". Its a most famous and fastest data entry software which gives fast flow of captcha images while working with multiple ids. This software is only available in Monthly Basis. Its Licence key is just $1 / month. 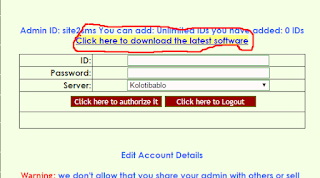 Download the zip file from http://www.mediafire.com/download/e6xyr71lxitnl33/Captchapro_Captchatypers_all_2khung+.zip and Extract the file to one folder and run the "Captcha" named executable file in the extracted folder. After running the software , one box will open like below . You will find the Code in 1st box ( field ). You need to Provide that Code to the Licence key seller who is me (myself). After that Licence key seller will use that code to generate the Licence key for you. After you received the Licence from the Seller, copy and paste the exact licence key to the second box ( field ) and Finished. Your Captcha pro software is ready to use and activated. If you want to buy the licence key. comment here. Google Captchas and Confident Captchas with High Rates. Captchatypers have now increased the rates for new coming captchas,i.e., Google Captchas and Confident Captchas. These types of Captchas are only high paying than regular captchas. There are 3 types of High Paying Captcha Categories. Case Sensitive Captcha with Example below. Check above Image example. Its showing " rabbited Mali ". So you have to type it in Case Sensitive like "rabbited Mali". When you will be shown this type of captcha, "Case sensitive " will be written above the image in blue color . That means you must type it in Case sensitive only or it will be incorrect. Above Given Image showing the text to type is " promotion". This is a regular captcha which means you need to type it this captcha in only small letters though it is showing in case sensitive also. You can type "promotions". Above Given Image is a Confident Captcha. In this image , you will be asked to select flower, tv, animal, forest, so write the letter or number given above the image in blue color. So, the Answer will be 1548. Above Shown image is a Google Captcha. This category is similar to confident captcha images. Here question is to choose all pictures which has icecream so you type the numbers above images which has icecreams.Here correct answer is 5689. You can solve above all 3 types of captchas after you login to your working id on below given url .